Placed at the height of 4,100 ft of the Himalayas, with its friendly weather Kalimpong can be visited anytime during the year. This peaceful city of flower once overshadowed by Darjeeling is now one of the most desired destinations in Eastern Himalayas for nature lovers, holiday tourists or the people who want to enjoy a peaceful holiday. Once the headquarters of Bhutanese Governor, it was a bustling town situated on the main trade route between India and Tibet. The word “ Kalim” means King’s Minister and “Pong” stands for “ The stronghold of the King’s Minister”. It is also called “ Kalimbong” or the black spur by the hill people. Kalimpong was conquered by Bhutan in 1706 from Sikkim. And after Anglo-Bhutan war in 1865 the British Government took control over it. 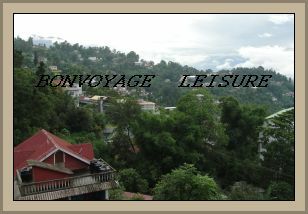 Kalimpong is enriched with Alpine Forests, numerous species of Flowering Plants and Orchids. Number of flower nurseries are present in this town producing flower & orchids for export and domestic markets. Though quite off the beaten track is an ideal setting for a peaceful holiday, British architecture feast for the eyes! The dense forest of golden oaks, vast rolling meadows with a riot of colours by wild flowers, presence of mighty Kanchenjunga on the backdrop and the view of river Teesta flowing down from the Sikkim hill are enthralling. The weather of Kalimpong is very soothing. During summer the city offers a very pleasant weather. durng sunny day it is becoming a little warm. But after the evening the city gets cool. And in winter it's affordable cold. Kalimpong is 75 kms away from Siliguri and it takes around tow and half hourse to complete the journey. Nearest Railways station is New Jalpaiguri or NJp and Airport is Bagdogra. Bonvoyage offers Kalimpong tour and travel packages, local sightseeing in and around Kalimpong with hotel booking and adventure, excurion trips in and around Kalimpong. Which is 34 kms journey through alpine forests from Kalimpong is located at the old trade route to Bhutan and at the height of 7,200 ft. Lava boasts with its abundant natural beauty & serenity. Neora Valley National Park is accessable from here by a short jeep journey and 8 km trek takes to Rachela Pass ( 10,600 ft) the highest point of Neora Valley. another beautiful place is 24 kms from Lava,presents a spellbound beauty and an journey inside the deep forests of Loleygaon is really memorable. The virgin natural beauty of Himalayas is also a very short journey from here. 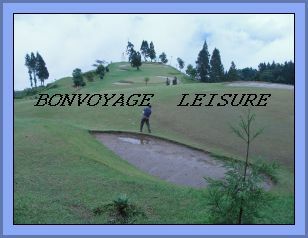 is an ideal location for a day trip from Kalimpong. It is only 21 kms away from Kalimpong on the Kalimpong – Lave road. It is a historical place with abundant natural beauty. Pedong offers some short trek routes to the beautiful locations. Nathu – La and Jelep – La are closely visible from here.